JOY S delivers solid performance with its fan design, large filter surface, and HEPASilentTM technology, which combines electrostatic and mechanical filtration technologies. 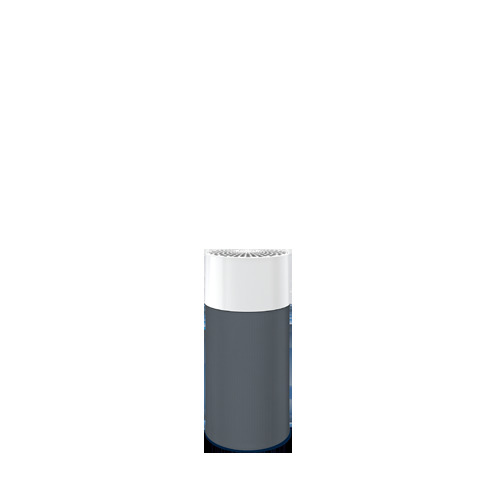 This combination delivers high Clean Air Delivery Rate (CADR) with whisper-silent operation and high energy efficiency. In fact, all our JOY S air purifiers work so quietly that you might have to check to make sure it’s switched on. Say hello to JOY S! Our smallest and slimmest air purifier for your favourite cozy spaces. Designed for rooms up to 16 m², just place it wherever you want, plug it in, and breathe perfectly clean air 24/7. JOY S consists of an advanced filter. With unique HEPASilent Technology using both mechanical and electrostatic filtration, it catches virtually every airborne contaminant down to 0.1 micron in size: pollen, dust, pet dander, mold spores, smoke, allergens and bacteria. Empowered with active carbon filter it even removes odors, gases and VOCs. And thanks to the unique 360° air intake, JOY S is fully efficient wherever you place it.